Before Christmas, in my review of 2014, I mentioned I’ve been doing a lot of writing about the Pennine Way. I haven’t quite got to this point in my writing, but I’m not far off. It’s a mighty spot, perhaps the most splendid on the whole of the Pennine Way. 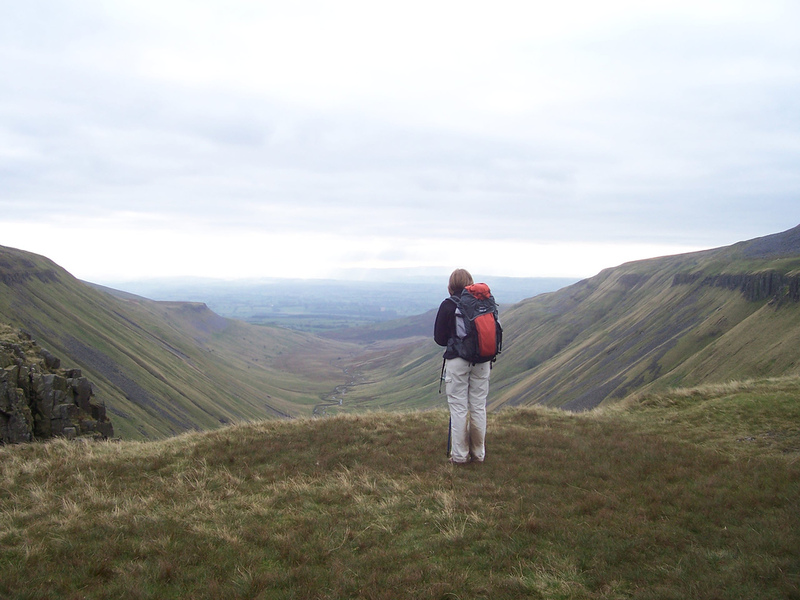 It’s a place called High Cup Nick and it’s a massive U shaped valley, a few miles away from Dufton in Cumbria. A truly amazing place, it’s also one that a photograph will never do justice too. And when we were there, we had it to ourselves which was even better. For there’s no road access to High Cup Nick. The only way to get there is to walk a couple of miles, and then walk back again. Most people don’t, meaning that only those who are prepared to put the effort in, get to see this wonderful view. If you’re ever in the area, it’s well worth the stroll. You won’t be disappointed. First Published: 4 January 2015. Last Updated: 9 January 2015.